There’s nothing quite like the day you launch a new website. All the weeks and months you’ve spent planning, coordinating, organizing, designing and developing are finally finished and it’s time to unveil your website—your work, even if it’s for a client—to the world. A launch day should be full of celebration and excitement and the feeling of accomplishment, right? Unfortunately, launch day can also be frantic and hectic—what if you missed something? 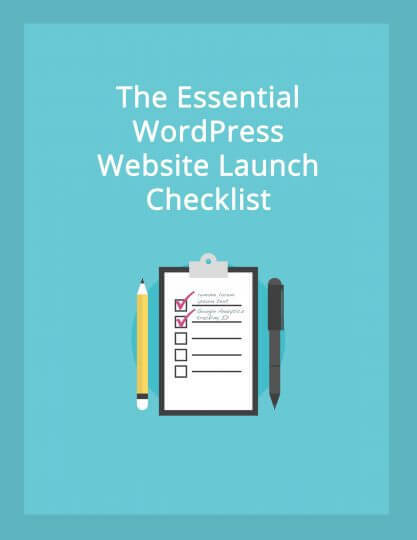 Based on the recent popular blog post, we’ve compiled all the essential checklist items for your next WordPress website launch into one handy ebook.